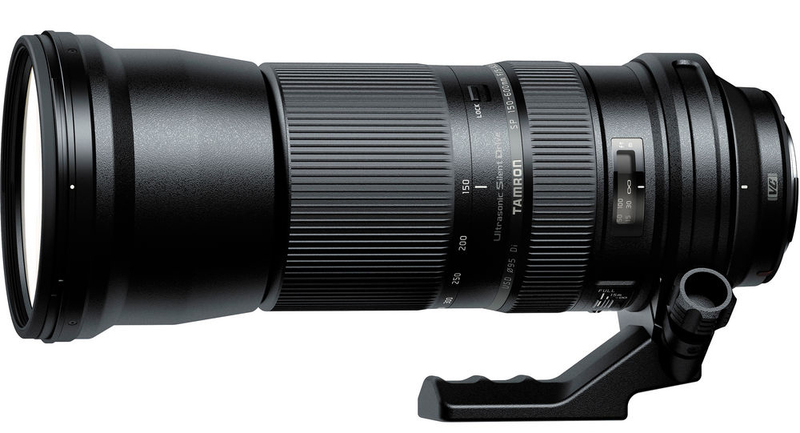 The 4x “ultra” telephoto zoom has a focal length range of 150mm – 600mm. . When mounted on an APS-C camera, the focal length range effectively increases to 233-930mm. That’s ideal for filming wildlife and sports, but I wouldn’t try handholding this lens. Nor would you expect it to be very fast. At the widest, it’s f/5, but at full telephoto, it closes down to f/6.3. The lens includes 20 lens elements in 13 groups. The front most group has three LD (low dispersion) glass elements which will enable the lens to compensate for on-axis aberrations at the telephoto end. With a nine-blade circular diaphragm, this lens should produce a lovely bokeh or background blurring. The lens is still in develpment so pricing and availability have not yet been announced. It will be available in Sony A, Canon EF, Nikon F camera mounts. It includes a removable tripod mount pictured above.